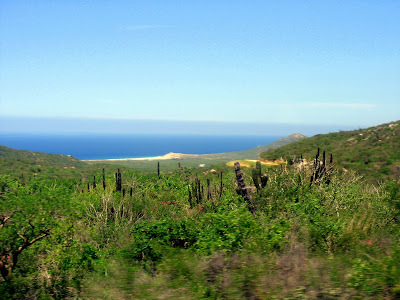 I took this shot on the drive from Cabo San Lucas, Mexico to the site where we did ATV (all-terrain vehicle) off-roading on the beach and some hills. Here you see the beach of the Pacific Ocean. Cabo sits right on the point of Baja where the Pacific and the Gulf of California meet, so there's great beach and huge waves all around.